After the GFXBench database revealed a Nokia device with Snapdragon 835, now a new entry to the database show a device named “Nokia Heart”. 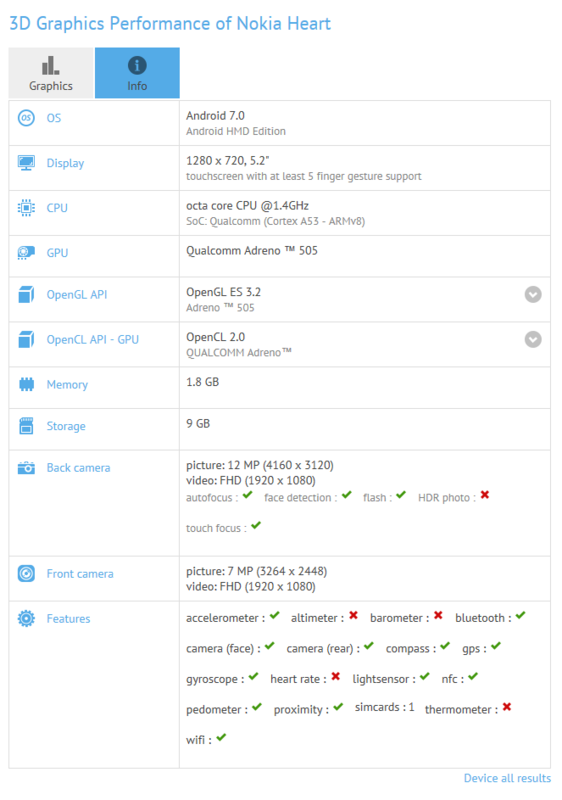 The Nokia Heart could be the Nokia E1, whose specifications leaked before. There are some differences, but this could be HMD’s low (er) end phone, placed below the Nokia 6. An interesting thing is that Nokia Heart features NFC, while the midranger Nokia 6 does not have NFC. We expect Nokia Heart, a global version of Nokia 6, and a device with Snapdragon 835 to be announced at MWC next month.